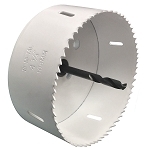 Hole Saw heads for cutting anywhere from 1/4 round to 3/8 hexagon. 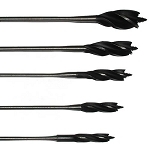 Choose from 6 sizes for wood and plastic. 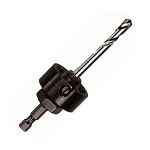 Includes 3/8" pilot bit. 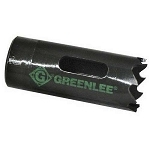 Greenlee's hole saws allow you to cut through steel, tin, aluminum, fiberglass, wood and plastic. Flexible flex wood drill bits for feeding cable and drilling around corners. 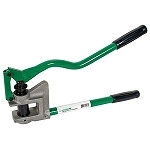 Drill bit system that can drill, bend, and be retrieved easily.